On August 23, President Henry B. Eyring dedicated the first temple in the Hoosier state--the Indianapolis Indiana Temple--making this the 148th temple worldwide. Before the dedication, the new temple president and temple matron, Jensen and Karen Chipman, along several members and children sealed the cornerstone with mortar. More than 90,000 people visited the newly completed temple during the open house, and the newly dedicated temple will serve 30,000 members in the Indiana area. The day before the dedication, over 1,500 youth participated in a cultural celebration held at Michael Carroll Stadium. Check out these stunning pictures of the celebration and video of the temple dedication. 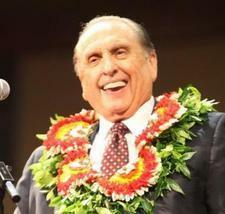 Image from LDS.org of the cultural celebration August 22. Image from Mormon Newsroom of the cultural celebration August 22. Image from Mormon Newsroom of the dedication on August 23. For more pictures and details, visit LDS.org or Mormon Newsroom.